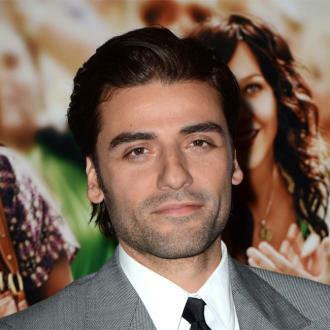 Oscar Isaac is a Latin American actor and singer. Early Life: Isaac is an evangelical protestant of Guatemalan descent, his mother is from Guatemala and his father is a Pulmonologist from Cuba. He was raised in Miami, Florida. Hernandez played in a band as the lead guitarist and vocalist; their name was The Blinking Underdogs. 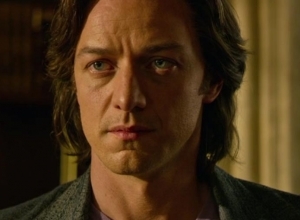 Career: His first break as an actor came in the film 'The Nativity Story' opposite Keisha Castle-Hughes. 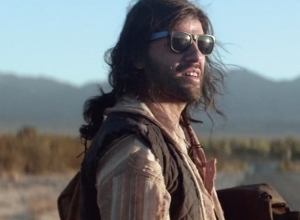 He then got a part in 'Guerrilla' which is part two of the film 'Che'. Isaac also played Prince John in 2010 film 'Robin Hood'. In September 2011, Isaac starred as a security guard in a film directed by Madonna called 'W.E', he then followed up with a small role in the film 'Drive' starring Ryan Gosling. Isaac went on to star in a film called '10 Years', playing a musician. Two of his own songs were included in the film and were added to the soundtrack. He made an appearance in the hit television series 'Law & Order: Criminal Intent'. Isaac played the lead protagonist Romeo in Public Theatre's 'Shakespeare in the Park'. He also had a role in Shakespearean play 'Two Gentlemen of Verona'. 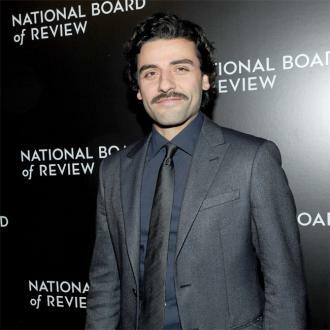 Isaac replaced Javier Bardem in 2013 for the film 'A Most Violent Year', opposite Jessica Chastain. 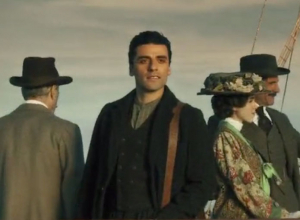 In the same year, Isaac starred in the Coen Brothers film 'Inside Llewyn Davis' alongside Carey Mulligan and John Goodman. The film earned him a Golden Globe nomination for Best Actor among several other film festival accolades. The main cast for the new animated film has been revealed. 'The Addams Family' is set to return in a new animated movie, and the freshly announced voice cast is very exciting. Charlize Theron and Oscar Isaac are leading the cast as Morticia and Gomez Addams, with Chloe Grace Moretz as Wednesday and Finn Wolfhard as Pugsley. MGM are launching an animated reboot of the creepy, kooky franchise twenty years after the macabre family last appeared on our screens. While the best known adaptations of the original Charles Addams comic strip have been the 60s black and white TV series starring Carolyn Jones and John Astin and the 90s feature film with Anjelica Huston and Raúl Juliá, it's not the first time the family have appeared in animated form. The film's set for release in 2019. In development since 2013 and now set for an official release in 2019, an animated 'Addams Family' movie from MGM and co-screenwriters Pamela Pettler and Matt Lieberman is set to hit the big screen, finally bringing the iconic horror/comedy family back to fans following a long hiatus. Though reports all the way back in 2010 suggested Tim Burton was developing a stop-motion 'Addams Family' picture, the adaptation fell through and allowed room for another to replace it. That would turn out to be MGM's animated take on the horror family. 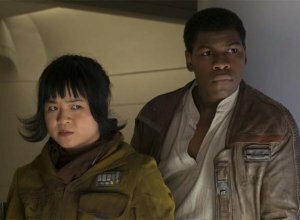 After the thunderous reception for J.J. Abrams' Episode VII: The Force Awakens two years ago, writer-director Rian Johnson had a lot to live up to with Episode VIII. And he delivers more than anyone expected: a lucid, entertaining film that operates on four distinct planes, deepens all of its characters, enriches the mythology and constantly surprises the audience with twists and turns. It's a little overwhelming, a nonstop two and a half hours of action and intensity without any time to catch your breath. But there's also a steady stream of sharp humour to help keep things in perspective. The story picks up straight away, as the First Order led by Supreme Leader Snoke (Andy Serkis) presses its advantage to wipe out the rebellion for good. Snoke is playing his apprentice Kylo Ren (Adam Driver) off against General Hux (Domhnall Gleeson) for maximum effect as they launch an attack. Rebel General Leia (Carrie Fisher) is trying to protect her scrappy army, with pilot Poe (Oscar Isaac) trying against the odds to find a way to get them to safety. 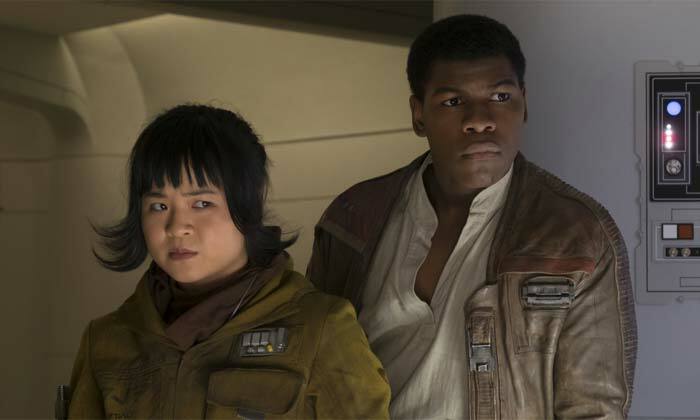 He sends rebel hero Finn (John Boyega) and mechanic Rose (Kelly Marie Tran) on a mission to track down a hacker who can give them a chance against the First Order. Meanwhile, Rey (Daisy Ridley) has tracked down Leia's brother, jaded Jedi master Luke (Mark Hamill), who is trying to teach her hard truths about the Force. 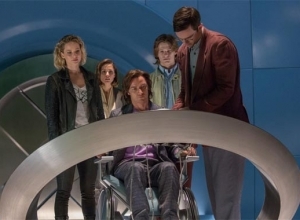 Each of these characters finds a surprising connection to others, derailing plans and sending each person on an unexpected journey. The way Johnson orchestrates all of this is remarkable because it's both coherent and compelling. And the actors beautifully inhabit the characters, offering telling glimpses beneath the surface. Driver has the strongest role, grappling with three other main characters to understand his destiny. It's dark and complex, and unnervingly moving. Ridley and Hamill also have powerfully gripping moments, while Isaac gets to make good on his scallywag promise in the previous film. And in her final role, the late Fisher brings a wonderfully knowing, sassy edge to Leia. The director of Hotel Rwanda, Terry George, turns to another humanitarian horror: the systematic murder of 1.5 million Armenians, Greeks and Assyrians by the Turkish government between 1915 and 1923. Turkey has long denied that this took place, so the filmmakers take a rather soft approach to the story, setting out a romantic plotline with the genocide as a backdrop. So the resulting drama is somewhat uneven, but the events are so powerful that the film can't be ignored. It opens in 1915 as the Ottoman Empire is collapsing. Mikael (Oscar Isaac) is a young Armenian studying medicine in Constantinople with a promised fiancee Maral (Angela Sarafyan) back home. Even so, he falls for Ana (Charlotte Le Bon), who shares his rural Armenian background. 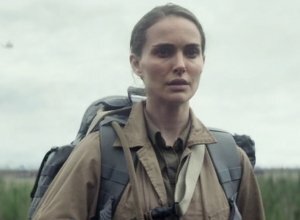 But she has a boyfriend, Chris (Christian Bale), who is investigating rumours of war as the Germans arrive to help the Turkish government round up its ethnic minorities. Mikael is soon arrested, but escapes from the work camp to return to his parents (Shohreh Aghdashloo and Kevork Malikyan) and Maral. Meanwhile, Chris and Ana are trying to report the story of what's really happening, and Mikael joins them to help a group of orphan refugees. Yes, this is a sweeping epic in which there's a lot going on, and it's filmed on a lavish scale. The characters' lives continually intersect throughout the story, and the intensity of the wartime atrocities is seriously powerful. On the other hand, this makes the four-sided romance feel like a melodramatic distraction. 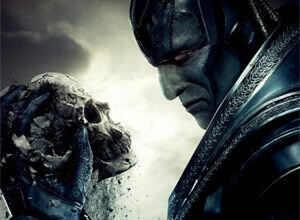 The actors are solid, but the earnest tone undermines any real emotional edge. Isaac is sincere and decent, Le Bon is strong and wilful, Bale is solid and cynical, and Sarafyan is lost in the shuffle. Aghdashloo, as always, provides wrenching support. 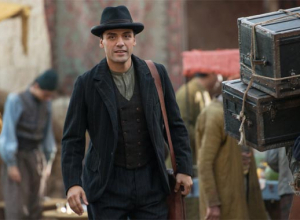 The Promise is a new drama from Terry George (Hotel Rwanda), set amid a horrific genocide in the early 20th century, which Turkey still refuses to acknowledge. 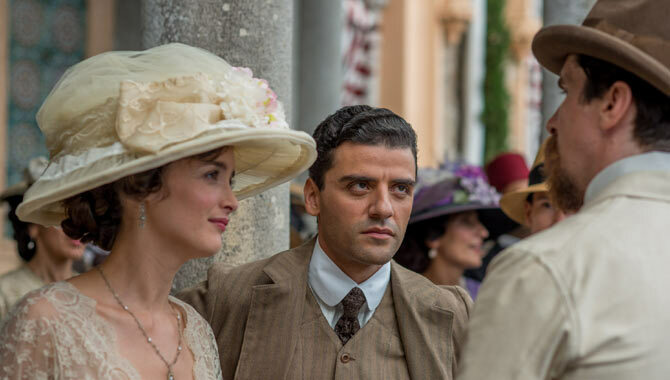 The film stars Oscar Isaac as an Armenian caught in Constantinople as the Ottoman Empire collapses. "To my shame," Isaac says, "I didn't know about the Armenian genocide before I got the script. To read that 1.5 million Armenians perished at the hand of their own government, it was shocking. To this day, there's an active denial of it. That was the most interesting part of it, but the cast they put together, and the fact that all of the proceeds will go to charity. That's a great thing to be a part of." 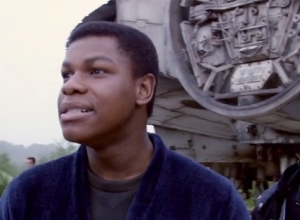 While the new trailer has given away little secrets, fans are freaking out in anticipation for ‘The Force Awakens’. 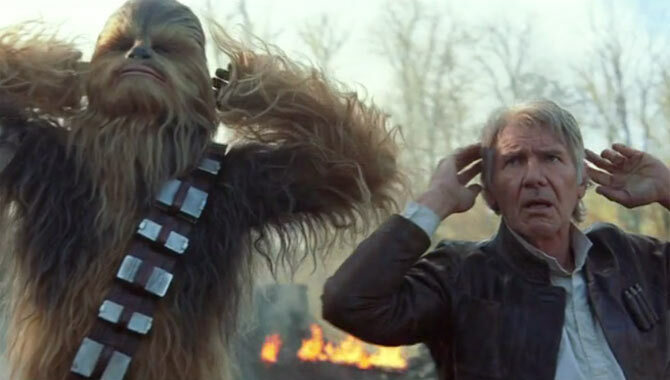 On Monday evening the new trailer for Star Wars: The Force Awakens hit and the internet nearly broke, thanks to the reactions of excited fans. The new clip is our third look at the upcoming film, but this trailer is by far the most interesting for fans, even if it gives little away. 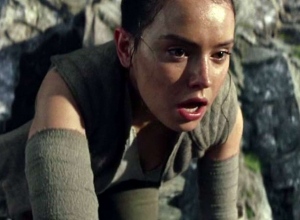 Newcomer Daisy Ridley is heavily featured as Rey, a scavenger who is thought to be the daughter of Han Solo and Princess Leia. The actress herself was just as emotional as the franchises’ legion of fans on Monday, while watching the trailer from her bed. It's been thirty years since the Rebel Alliance; led by the noble Luke Skywalker, the intrepid Princess Leia and the lionhearted Han Solo; finally defeated Emperor Palpatine of the Galactic Empire, alongside his redeemed assistant Darth Vader. The second Death Star was reduced to rubble, and the galaxy was free from a tyrannous evil once more. If only that were true. For there can never be good without evil, and sure enough another Dark Lord, Supreme Leader Snoke, has arisen to take the Emperor's place, with even more brutal plans for the civilians across the stars. But this time there are also new heroes, better equipped to deal with the ever looming terror thanks to an example set by the now ageing former Han, Luke and Leia. 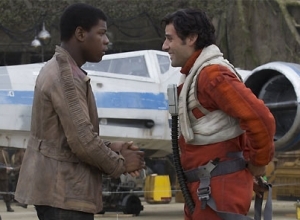 They are now preparing to help a vindicated former stormtrooper named Finn, an independent scavenger called Rey, and Poe Dameron who is a Resistance X-Wing pilot. Could 'A Most Violent Year' Win the Oscar for Best Picture? 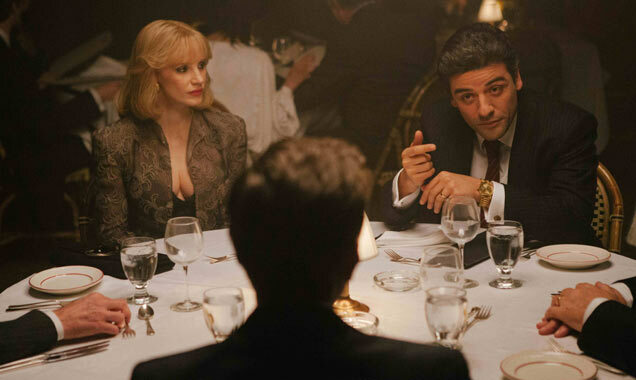 'A Most Violent Year' Wins Film of the Year, But What About the Oscars?